1. breakfast sandwich at masterpiece delicatessen. 2. homemade mexican salad: black beans, tomatoes, wheat berries, romaine lettuce, and cilantro with a lime olive oil dressing. 3. 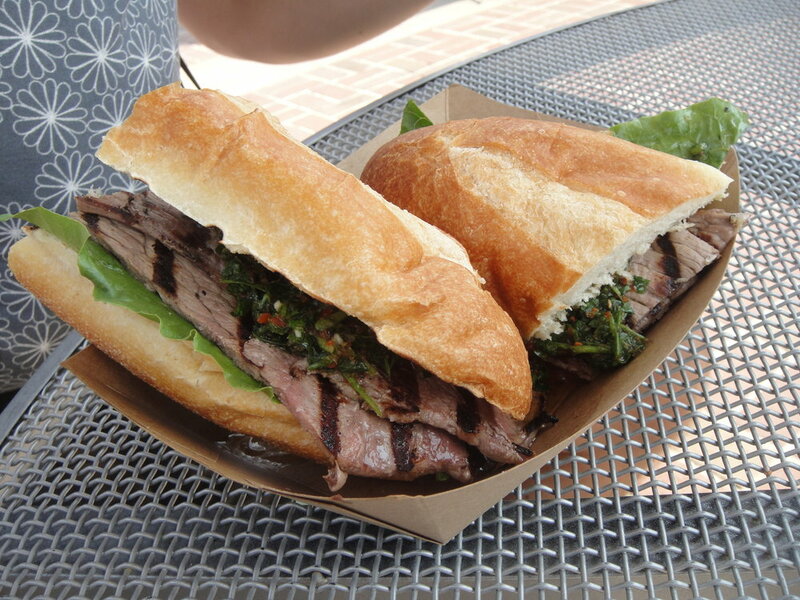 "el gaucho" grilled steak sandwich from route 40 argentinean grille truck at civic center EATS. 4. our five year (!) anniversary dinner: buffalo mozzarella with fresh herbs and cumin from ottolenghi's PLENTY and olli salumeria's "toscano" salame, both bought at our neighborhood cheese shop. 5. corn salad for an afternoon lunch al fresco at spuntino. 6. happy + fun "evolution" wine from our awesome local liquor store.